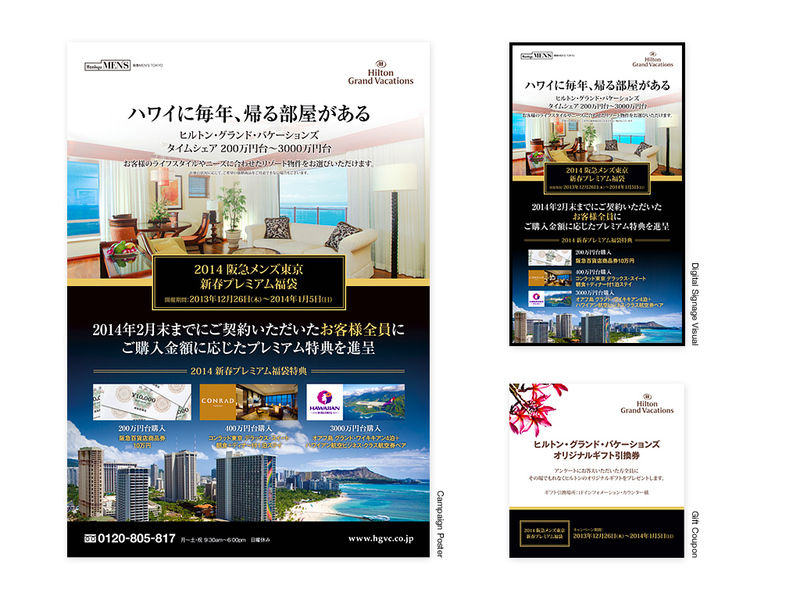 Hilton Grand Vacations® 2014 Premium Fukubukuro Campaign at Hankyu Men’s Tokyo. Campaign Tool Art Direction and Graphic Design. Copyright © Eye to Vrain, Inc. All Rights Reserved.